I have so much love for Alterna. Ever since my first liaison with their White Truffle range a few years ago I’ve been hooked. This professional haircare range is not cheap by any means but if your hair has expensive taste like mine – or is dry, damaged, coloured or simply in need of a treat – then the shampoos, conditioners and treatments cannot be beaten. 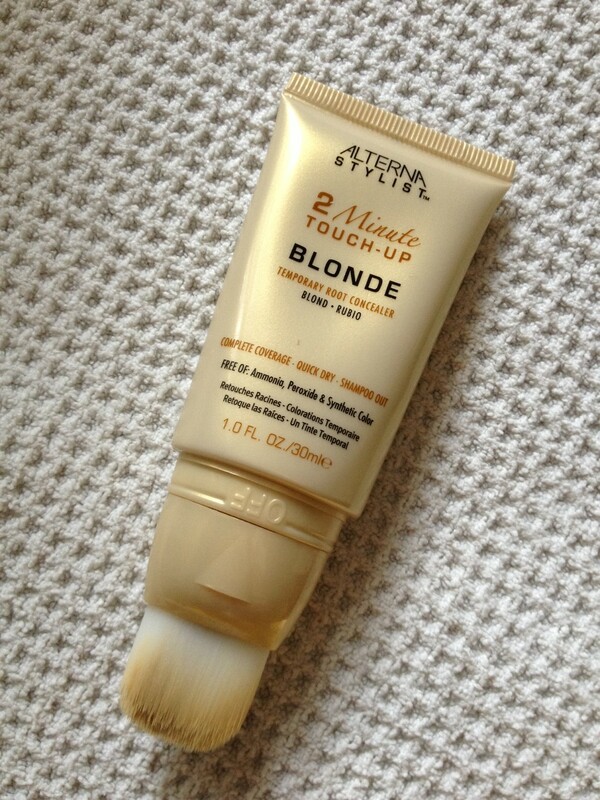 So when Alterna 2 Minute Touch-Up (£24.95, 30ml) in Blonde landed in my mitts as a means to extend your colour in-between salon appointments, I was looking forward to trying it out, all I needed was some root regrowth. So 3 months following my last visit to the hairdressers and with some roots to play with, the time had come to put the temporary colour to the test. There are not many reviews of this product on the web as I write, so hopefully this will be of some use to those interested in trying it out. First impressions were good – very user friendly packaging, really easy to use; simply twist the brush to open, squeeze and apply. The mineral-based gel formula is also ammonia, peroxide and synthetic colour free and washes out the next time you shampoo. The product dispensed onto the brush quickly so I dabbed it onto a tissue to spread the colour a bit and started to apply it to my hair. The reason there are no before/after pics to reference is because I soon realised that the shade was just a bit too dark for my light blonde tinted hair, so it would be unfair on the product to show the results. I then realised that I had applied a little too much, so once I’d let it dry for a minute or two as the packaging advises, I then spent a bit of time brushing it through in the hope of distributing and/or removing some of it. Coverage was good but unfortunately as it was the wrong shade for me, it didn’t fully disguise my roots. A good brush through afterwards helped. You can feel the product in the hair, it feels a bit stiff once its dried, a little like paint. Brushing or combing helps with this. Back to the shade, I feel that this would suit highlighted blondes with two or three contrasting tones running through their hair, or perhaps a medium toned blonde – it should then blend seamlessly into your colour. There are other shade variants – light brown, dark brown and black to be precise – which again would probably work quite well, it’s just that blonde can be quite a complex shade and one colour doesn’t suit all in this instance. In conclusion, if I go back to having highlights (or dye my hair brown – not a chance!) 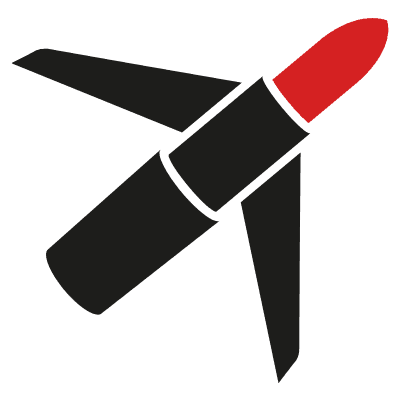 I would use this again, but it does require a bit of practice to get the best out of it, and possibly the help of a trusted friend. Alterna 2 Minute Touch-Up is available from www.lookfantastic.com or call 01925 578000 for stockist enquiries.